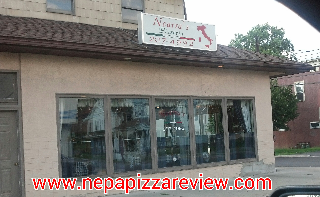 Looking to do a quickie review in a limited time frame, I sought some advice from a fellow pizza fan who suggested Nearra's in Green Ridge. The insight I received was that the pizza tends to be a bit inconsistent, sometimes providing her with the best pizza in town, but sometimes serving up some not so great pies. With that in mind, I hopped in the pizza mobile and headed to Nearra's to form an opinion of my own. As I walked in the door, I quickly identified this place as a great lunch spot, but not necessarily a good place for a nice dinner because of the relatively relaxed atmosphere and order at the counter setup. I needed a quick meal and couldn't wait for a full pizza to be be put in the oven, so I decided to go for some slices. As I've said in prior posts, you to take premade slices with a grain of salt because sometimes they aren't the freshest, but still provide good premise to judge the caliber of pizza that a restaurant is serving. Anyway, I was quite hungry, so I decided to go ahead and order 3 slices. 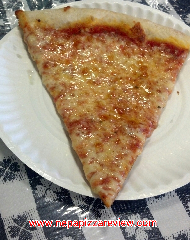 The speedy waitress had the slices on my table within 3 minutes, which was fantastic. When they were set down before me, I immediately noticed that one of the slices was freshly made and the other 2 slices were probably at least 3 hours old. If you look at my pictures in this review, you will notice that the single slice is glossy, vibrantly colored and looks delicious. The 2 older slices are grayish, matted, and not so tasty looking. Suddenly, I heard the words echoing in my head "best pizza in town/worst pizza ever." Could it be possible that I would be experiencing both pizzas in the same visit?! I withheld judgement until after I tried both slices. Of course, I went for the fresh slice first, and it didn't take long to find out that this was an excellent New York Style pizza. The crust was ultra thin - the type that you have to perform the ole "NYC Fold" in half to eat it without getting some on your shirt. The crust was also nice and crispy, and not doughy or chewy at all. I very much enjoyed the cheese, which was cooked perfectly, and slightly salty and greasy which is a good thing. After a few seconds, I caught myself scarfing the slice without taking the time to actually pick out the flavors to review because it was so good! The sauce was a traditional NY style sauce with Italian seasonings and is quite good. Now it was on to the older slices, which at this point was like a child opening his best Christmas gift first (Xbox 360), and then only having a box to open which clearly contains a package of socks from his aunt Flo. I wasn't very enthused about even eating these, but for the sake of the NEPA readers, I dove in. The slice tasted as bad as it looked. There was no flavor. It was soggy, the crust had no life, the sauce had been absorbed into the cheese and dough while the acid in the tomatoes broke down both. It was just typical old pizza. I'm certainly not above eating an old pizza, but it was a gigantic let down after the fabulous first slice. This is exactly the reason you are taking a risk anytime you order a quick slice at any pizzeria. The pizza maker committed a two-fold sin on this one. First, he/she served up slices that were several hours old, and second, he/she mixed it in with a fresh slice so it was painfully obvious how old the other cuts were. A word of advice if you are a on the run eater like myself: ask the waitress if they have any fresh slices available before you place your order. They are usually happy to run in the back and ask the pizza maker what the slice situation is. Sometimes they will even bring the slice pie out for you to see, and sometimes the pizza is on display. I didn't use that approach on this day, because I like to just order and see what kind of food I get so each restaurant provides the service just as they would to any other customer. 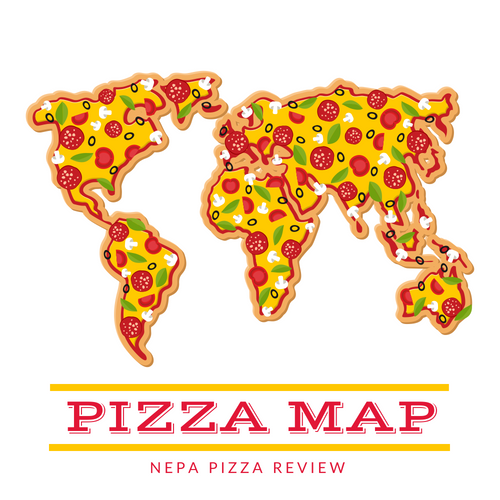 So assuming that everyone will demand fresh slices after reading this, I will make my ratings based on the good slice that I received rather than the poor ones so you know what you're getting in a good Nearra's Pizza. 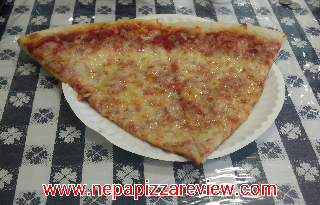 THE BOTTOME LINE: This classic NY style pizza is fantastic when you get Nearra's A-Game pizza. Obviously any place can have an off day, but it's interesting that the one thing I heard about Nearra's was that they are inconsistent, and was able to see that immediately in my first experience.